The seascape of North-West Madagascar is one of the most biodiverse and preserved regions of the world. Without change, in a few years, the region will know a profound imbalance, directly threatening its environment and its natural resources. At its center, the island of Nosy Be depends entirely on the sea and its generous underwater life to survive. But for how much longer? We thought the islanders could choose. Choose to protect. But how can they choose to protect without knowing and loving the sea? Our project aims to educate the people of Nosy Be, particularly the young, about what is at stake in their underwater world. This project has an environmental, social and community reach. In many places in the world, like in Eastern Madagascar, this approach works. It is from this angle that we envision to launch this project, with your help, from the beginning of 2019 for a minimum period of three years. Five people, one association, a common project! 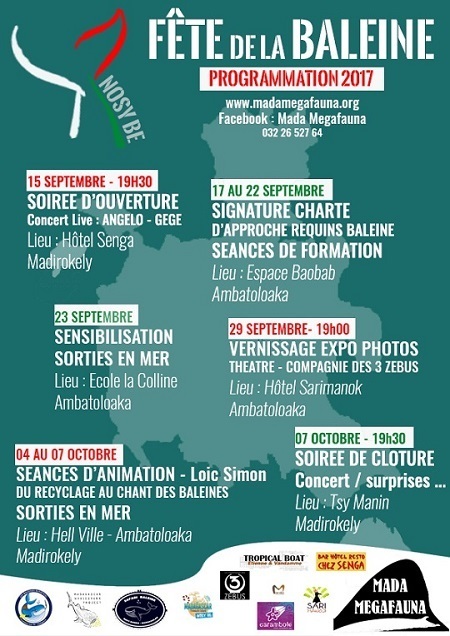 Tanguy, Arthur and Elina, founders of the association MADA Megafauna, have organized Whale Festival since 2013. This event, which takes place every year, already mobilised more than 800 people: kids, teenagers and adults, from the villages of Madirokely, Ambatoloaka, Dar es Salam, Ambaro, Andilana, Ambodrona. Today the association wishes to grow further by launching a sustainable social and community project based around the protection of marine megafauna. Stella Diamant, founder and leader of the program “The Madagascar Whale Shark Project" (http://www.madagascarwhalesharks.org) in Nosy Be since 2015. 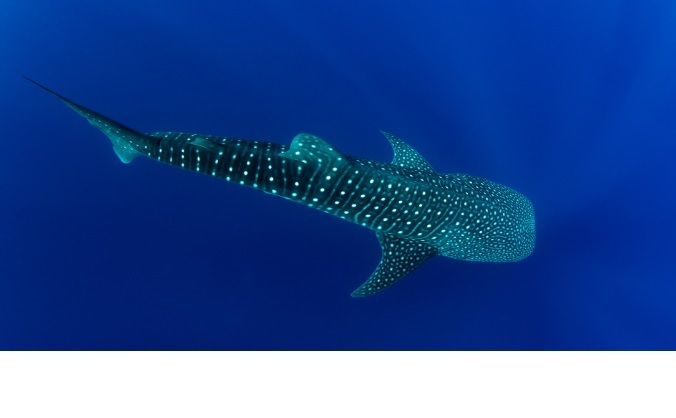 This program, assisted by global scientific experts, in collaboration with the association MADA Megafauna, focuses on the population ecology of whale sharks in Madagascar. To this day, more than 300 sharks have been identified by Stella and her team. The project also implemented a code of conduct in 2017 to ensure the longevity of marine tourism in order to protect whale sharks. 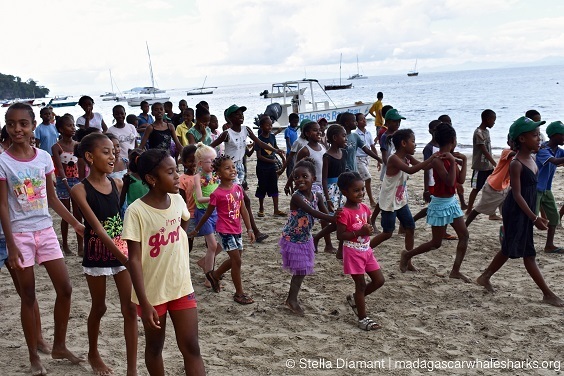 Thanks to funding from the "Clear Reef Social Fund" and from the "Foundation Vocatio", Stella Diamant initiated a "pilot education program” in 2018 thanks to support from Marine Megafauna Foundation. 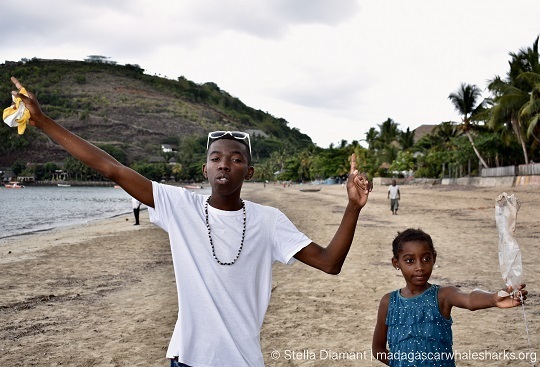 Bruno, a young local from Nosy Be, is involved in different education projects: the Whale Festival, the community association Miaraka helping young people’s development, the associative project Tanana’Madio focusing on waste management, and was recently employed by the MWSP to deploy the education program since September, 2018. Competent, motivated, involved, sensitive and convinced, it is the animator we want to support to launch our program! 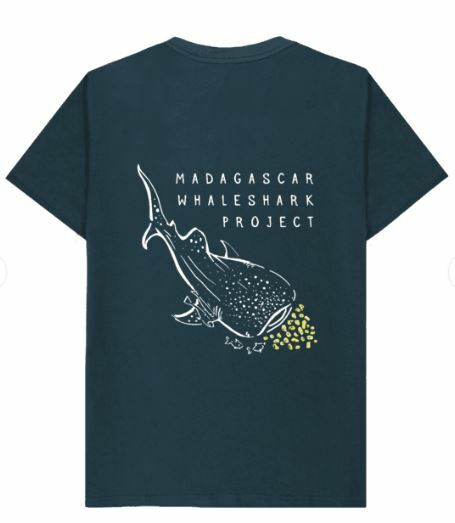 Since the school year of 2018, the Madagascar Whale Shark Project launched an education program with a class of year five, a class of year fourth and a class of CM2 for a length of three months in partnership with the school La Colline and Les Abeilles of Ambatoloaka and Dar es Salaam. 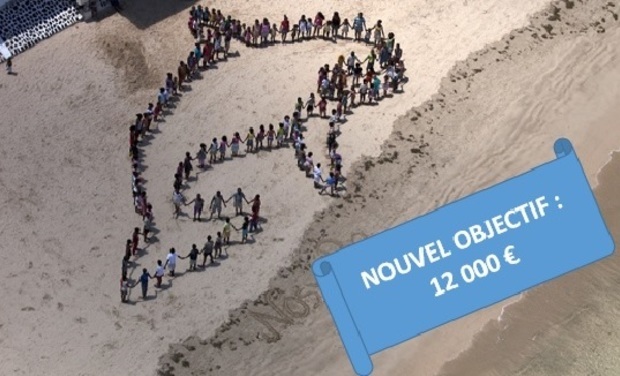 Based on a program first implemented by the Marine Megafauna Foundation (MMF), one of the project partners in Mozambique, it is comprised of lessons, activities, games and movies around the themes of marine megafauna and threats to their survival. This pilot project is delivered by Bruno, assisted by Stella for the theory and by Sophie, school teacher, for the teaching aspect. The program has three overarching themes (Ecosystems, Giants of the Ocean, Environment) and roles out over 20 classes of an hour and a half each. This funding mechanism aims to fund an animator for the program’s first year, then a new animator each year over three years. The funding includes salaries, transport costs, pedagogical tools costs, but also days at sea and administrative costs needed to fulfil our objectives. Today three classes benefit from MMF’s free education program, with more schools indicating they would like to be involved in the education program. More funding will allow us to reach more schools across the island, from remote schools in isolated areas to more centrally located schools. Improvised street classes in the market, discussions under the mango tree with the village elders, classes every Saturday for the village kids… we cannot envision a community project without meeting with the communities ourselves. An essential part of the project, we wish to take villagers out to sea so they can discover with their own eyes the beauty of the marine megafauna that surrounds their island. If ample funding is received for the project to be installed over a three year period , we will train and recruit new instructors in both close and remote locations. This will ensure the longevity of the project and ensure a wide geographical scope is maintained. Since 2013, MADA Megafauna has independently organized the Whale Festival. Having an animator available would allow us to extend geographically both events and activities for this annual event. Since its inception, MADA Megafauna collaborates with local associations that also focus on the preservation of marine megafauna and their environment, like Tanana Madio, who works on waste management, and Miaraka too, a community association based in Ambatoloaka. 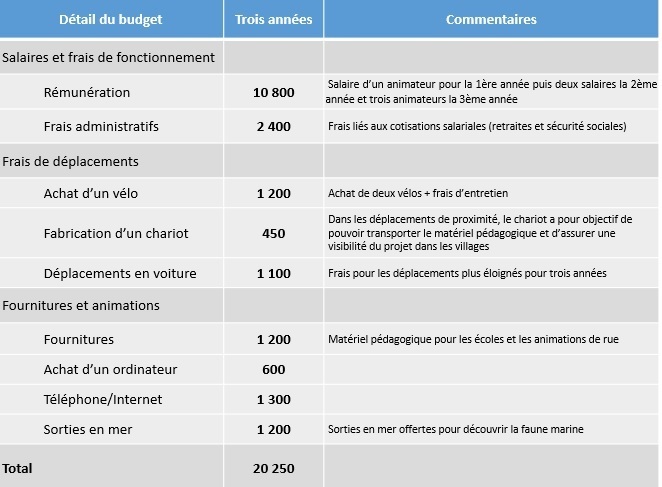 By funding our animator, you will also support this kind of local initiative, and help us expand our partnerships with other organisations in Nosy Be and beyond. Nosy Be is Madagascar’s main tourism capital. Arts and crafts are an important source of income. Still today, it is rare to find crafts that represent whales, whale sharks, dolphins… Yet there is real potential for economic development for crafts men and women. One of the animator’s jobs will be to initiative collaborations with local artists and craftspeople. If we reach 5000 euros, we will be able to employ Bruno for a year and launch MADA Megafauna’s community project! 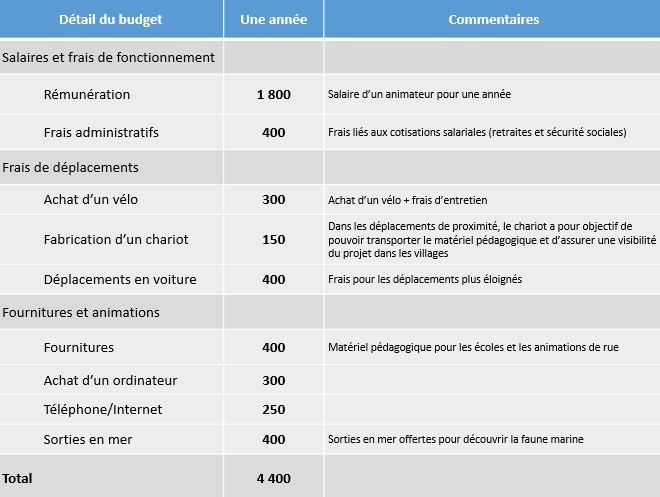 The funding covers the costs over one year – a budget of 4400 Euros is necessary to achieve our project. The cost of the crowdfunding platform and donor awards has been added to the goal. 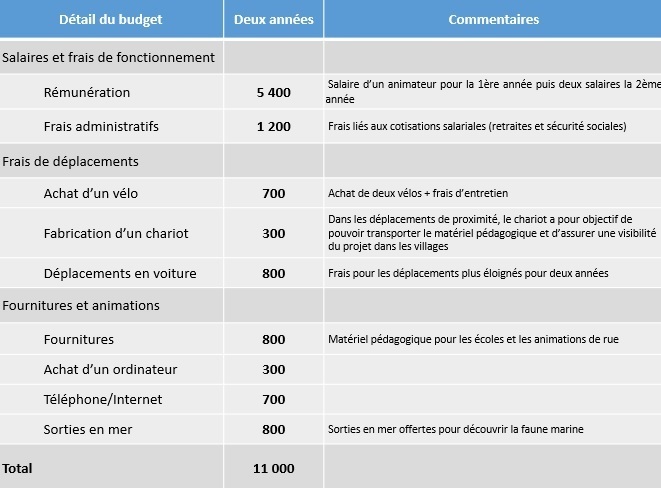 The funding covers the costs over one year – a budget of 11 000 Euros is necessary to achieve our project. The cost of the crowdfunding platform and donor awards has been added to the goal. The funding covers the costs over one year – a budget of 20 250 Euros is necessary to achieve our project. The cost of the crowdfunding platform and donor awards has been added to the goal. 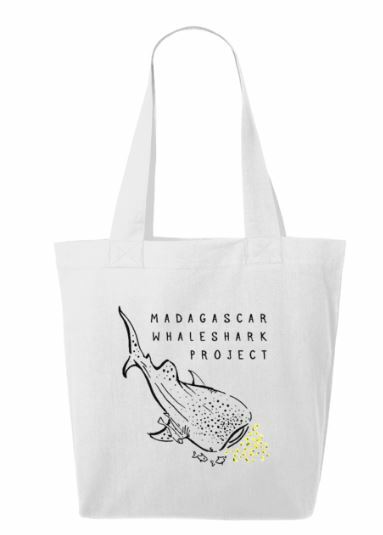 An ENORMOUS thank you, your name will appear on the website of the association, you will receive our trimestrial newsletter and a tee-shirt from the Madagascar Whale Shark Project.